CAT 2017 was held on November 26, 2017. The question – How much percentile is good enough to secure a seat in one of the Indian Institute of Management campuses? – is the only question occupying your mind right now. While the popular perception is that 90+ percentile is enough, the reality is that it will help you cross only the first hurdle. Admissions at IIMs are not based only on CAT percentile, but the candidates overall academic performance and his conduct in the interview. IIM admission is a three tier process. In the first phase, the candidates are shortlisted on the basis of their CAT exam performance vis-a-vis cut-off percentile fixed by every IIM independently. In the second phase, the selected candidates are invited for WAT/PI/AWT rounds and in the third and final phase, the candidates who clear the second phase are shortlisted on the basis of their perfomance in every area-CAT score, academic record, extracurricular activities, work experience, performance in interview/WAT/GD. If you have an idea of your performance in CAT, you can guess which IIM campus will be your address for the next two years. To facilitate this guessing process, which actually is a wise thing to do, the IIMs release admission cutoffs every year. It helps the candidates assess and make an informed decision while applying. For 2018-2020 batch, many IIMs have announced their admission criteria and minimum cutoff. While at IIM Ahmedabad 80 percentile is the lower limit, IIM Lucknow is seeking atleast 90 percentile. A look at the previous year’s trend can provide a fair idea of how much to score to join your preferred campus. Here we list for you, last year’s cut-offs of IIM Ahmedabad, IIM Bangalore, IIM Calcutta, IIM Lucknow, IIM Indore and IIM Kozhikode to provide an idea as to what your target should be. In 2015, IIM Ahmedabad’s cut off for admissions to PGP was above 90 percentile, which was reduced by 10 percentile in 2016. 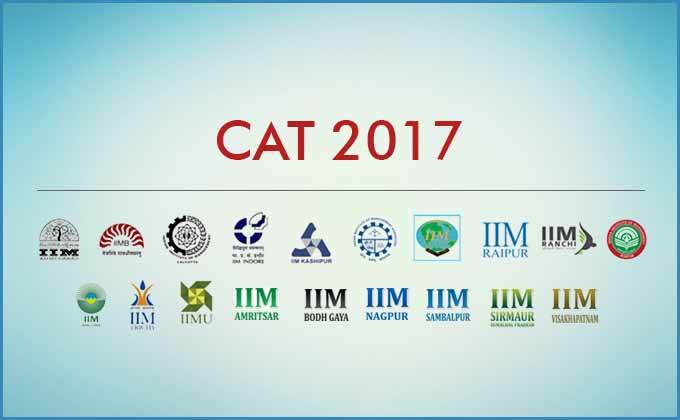 CAT 2017 was conducted by IIM Luckow on Novermber 26, 2017 across 135 cities. Over 2 lakh MBA aspirants appeared for the national-level common admission test to study MBA programme at India’s top management schools. The result is expected to be declared on the second Tuesday of January 2018.